Home » Events News » News » Puerto Ricans keep on growing! The Puerto Rican population in the United States grew at a rapid pace between 2016 and 2017. [New York, NY] The Puerto Rican population growth three times (2.5%) as fast as that of the U.S. population as a whole (0.8%), according to data just release by the Center for Puerto Rican Studies at Hunter College. This growth pattern among Puerto Ricans is similar to that of the Hispanic population as a whole (2.5%), which contrasts with the slight decline in the non-Hispanic white population (-0.1%), and the slower increase in the non-Hispanic black population. Puerto Rican population growth in the United States contrasts markedly also with the decline in population in Puerto Rico. Between 2016 and 2017, Puerto Rico lost an estimated 74,000 people, or 2.2% of its population. These estimates are based on newly released data from the U.S. Census Bureau’s American Community Survey. Puerto Rican population growth in the United States is driven evenly by the natural growth of its population as well as by migration from Puerto Rico. Puerto Rican population growth in selected states is driven also by internal migration from other states. As a result, Florida, has become the state of the union with the most Puerto Ricans. The Puerto Rican population in Florida is estimated to be, 1,128,000; followed closely by New York, with 1,113,000. Growth as the state level has also been evident elsewhere in the northeast (Massachusetts) and in the southeast (North Carolina), as has been the trend for a number of decades. However, rapid growth in the Puerto Rican population has also been evident in the Midwest (Indiana) and the northwest corner of the country (Washington), underscoring the growing dispersion of the Puerto Rican community throughout the United States. 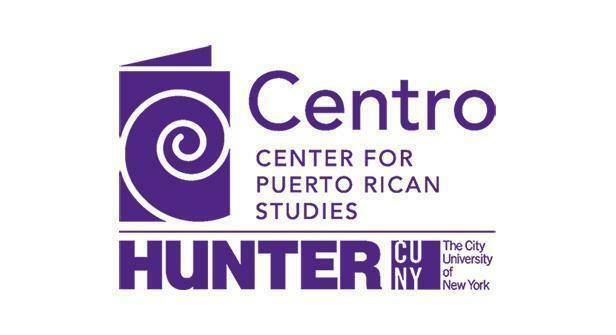 About the Center for Puerto Rican Studies (Centro): The Center for Puerto Rican Studies, Hunter College, CUNY (Centro) is the nation’s leading university-based institution devoted to the interdisciplinary study of the Puerto Rican experience in the United States. Centro is dedicated to understanding, preserving and sharing the Puerto Rican experience in the United States. Centro also collects, preserves and provides access to library resources documenting Puerto Rican history and culture. 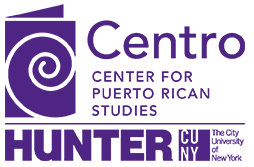 Centro seeks to link scholarship to social action and policy debates, and to contribute to the betterment of our community and the enrichment of Puerto Rican studies. Hunter College, located in the heart of Manhattan, is the largest college in the City University of New York (CUNY) system. Founded in 1870, it is also one of the oldest public colleges in the country and famous for the diversity of its student body, which is as diverse as New York City itself. Most Hunter students are the first in their families to attend college and many go on to top professional and graduate programs, winning Fulbright scholarships, Mellon fellowships, National Institutes of Health grants, and other competitive honors. More than 23,000 students currently attend Hunter, pursuing undergraduate and graduate degrees in more than 170 areas of study. The 1,700 full- and part-time members of Hunter's faculty are unparalleled. They receive prestigious national grants, contribute to the world's leading academic journals, and play major roles in cutting-edge research. They are fighting cancer, formulating public policy, expanding our culture, enhancing technology, and more.